Nina has been GTTP Russia Director since 2003. During this time the program has been growing year on year both in the number of students reached across the country and raising the profile of GTTP in Russia, encouraging more young people to participate, more adults to teach and volunteer, more businesses and more society and government leaders to support GTTP mission, goals and objectives. Nina is a graduate of Moscow State University and has a doctorate degree in Linguistics and Cross-Cultural Field. 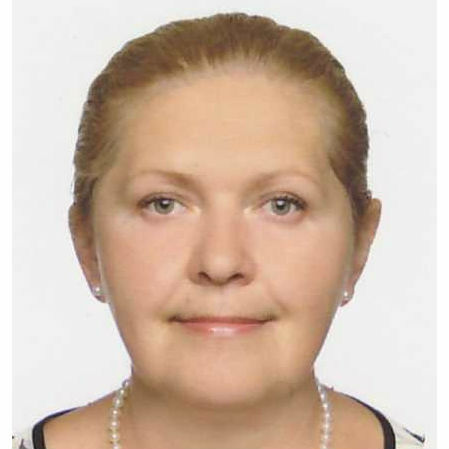 Her professional expertise included working with Pushkin Institute of the Russian Language, International Centre for Foreign Language Intensive Instruction at Moscow State University and Moscow International University. For the last 11 years Nina has been Executive Director of Junior Achievement Russia (JA Russia). Recipient of 2007 JA Worldwide Platinum Individual Achievement Award, Nina has been successful in networking and establishing new business and educational partnerships to more actively promote through Junior Achievement –Young Enterprise programs knowledge and skills associated with entrepreneurship and benefits of entrepreneurial culture. In April 2009 JA Russia’s achievements were recognized through the Model Nation 2009 Award. Within her professional field Nina has organized partnerships with a number of organizations including the US AID/Russia, IREX, Chamber of Commerce and Industry, All–Russia Small Business Association “OPORA of Russia” and others. Among her major accomplishments was the endorsement of JA and GTTP Russia programs by the Government Policy Department of Ministry of Education and Science of the Russian Federation and joint project with Ministry of Economic Development and Trade of the Russian Federation targeted on promotion of entrepreneurial education in the regions of Russia. Hosting Global Entrepreneurship Week (GEW) in Russia in November 2008 Nina, alongside of her board, staff and supporters organized more than 8,000 events with participation of over 360,000 young Russians and received Champion Catalyst Award.